Hamilton Medical has become the latest business to sponsor a crew uniform for Cornwall Air Ambulance. The company, which provides the intelligent ventilation system used on board the air ambulance, has pledged £2,000 to the lifesaving charity. 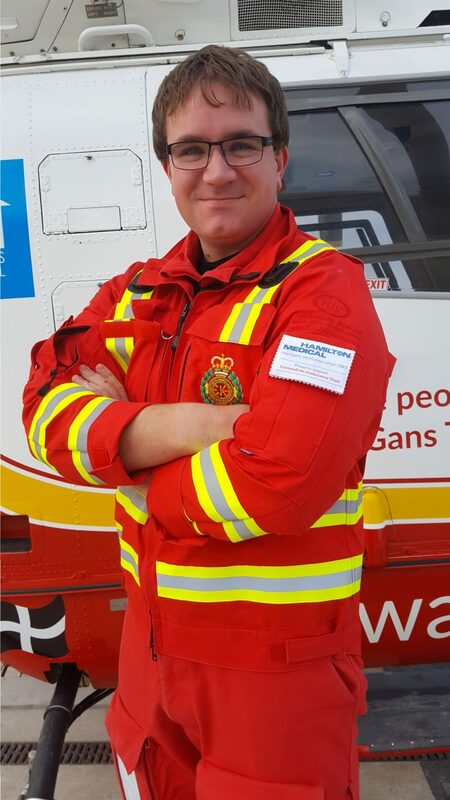 Critical Care Paramedic Kris Lethbridge proudly wears a Hamilton Medical logo on his sleeve while saving lives in Cornwall and the Isles of Scilly. The charity is now looking for more businesses to sponsor the remaining uniforms of helicopter crew members. Find out how your business could benefit from support Cornwall Air Ambulance here or email Steph Preston-Evans on Steph@cornwallairambulancetrust.org.